Buy Instagram Auto Views And Start To Make Profit Now! Why Should I Buy Auto Views? GlowInsta offers you a great service that promotes your videos with providing Instagram auto views. If you have videos on Instagram and want them to be popular quickly, you should buy auto views from GlowInsta. When you get auto views, your videos will not be viewed by real Instagram users. However, you will have some benefits. Your videos will look popular to the visitors of your profile and they will tend to watch your videos. Have you ever seen a very popular video with millions of views and wanted to watch it? It is same. GlowInsta will make your videos look popular with sending high quality auto views. Click here to see our followers deals. Yes, we can deliver auto views that you ordered on exactly the time that you want as we provide fast service. The most important part of our work is to provide high quality auto views to your posts. That makes us different from other services. Because, some services don’t provide high quality auto views due to financial or technical insufficiencies. On the other hand, we have both technical and financial capabilities to provide Instagram auto views according to your expectations. There are very important reasons that you should prefer GlowInsta. First of all, we provide high quality auto views. We are confident of ourselves very much and we are sure you will like what GlowInsta provides. We have a fast service. Once you make your order, you can get auto views in very short time. GlowInsta knows your concerns related to security issues very well. Because of that, we don’t want Instagram password from out customers. We want you to give us your Instagram username and the amount of auto views that you want to be sent to your videos. Once you make your order, you can wait for Instagram auto views to be sent. Can I Get My Account Banned? Your account won’t be banned because of sending Instagram auto views. Our process isn’t against Instagram terms of service. We apply legal methods to send Instagram auto views. So, you should have no doubt that there is no risk. Which one from Instagram auto view and Instagram real view should I buy? If you couldn’t decide for these two packages. We recommend that you get the Instagram real views package. Because on Instagram real views package people are real people. That’s why the actual viewing package is more convenient for your Instagram account to be more liked, followed and viewed. When you buy the Instagram real views package, your followers will increase more in the future. However, in the auto Instagram views package, other real people may understand that you have bought Instagram views. Therefore, there may be a decrease your followers in the future. If you are not able to purchase Instagram real views package as economical, you can buy the Instagram auto views package too. 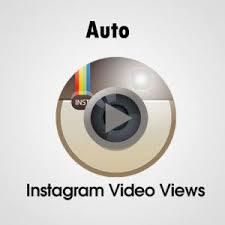 Because, Instagram auto views package will also provide you many followers in a short time. Does using auto packages create problems for my safety? There is no problem in terms of safety in all packages. This process is completely lawful. That’s why Instagram will not ban you. Do you make a refund if there is a problem after buying your Instagram packages? You can read our refund policy to learn more information about refund. Yes, the process of views your instagram is automatically done by computers. After you applied the Instagram views package what happens? When we apply this package to your Instagram account, the popularity of the videos you share is increased. With this popularity, many people start to follow you. If you are using your account to trade, this means the too many potential customers for you. Are the likes the same as the views? Instagram Likes work on your all sharing. But views represents how many people have watched your Video longer than three seconds. After that the timeframe it’s considered a real views and increases your counter. Increasing in your counter helps increase your popularity.